The Refined Geek » The Inevitable Disappointment of Curiosity’s Mars Discovery. The Inevitable Disappointment of Curiosity’s Mars Discovery. New scientific discoveries get me excited, they really do. After discovering the awesome Science Daily I found myself losing hours in research papers that show cased everything from new discoveries with great potential to good old fashioned applications of science that were already producing benefits for everyone involved. Of course it gets a whole lot more exciting when that science is being conducted on an entirely different planet so you can imagine my excitement when I heard that Curiosity had discovered something amazing, something that had could have been “history in the making”. It’s one thing for space and science nuts like me to get excited about these kinds of things, we usually know what to expect and the confirmation of it is what gets us all giddy, but its another thing entirely for the rest of the world to start getting excited about it. You see what started out as a couple posts on my feed reader with a couple scientists on the Curiosity team eventually mutated into dozens and when I saw that Australian TV programs were covering it I knew that it had gotten out of hand. It’s not that this was wholly unexpected, the public interest in Curosity has been the highest I’ve seen since the Spirit and Opportunity first touched down on Mars, but I knew that this fever pitch over the potential ground breaking news would inevitably lead to public disappointment no matter how significant the find was. To put it in perspective Curiosity has a very distinct set of capabilities, most of them targeted towards imaging and the study of the composition of the things it comes across. Much of the speculation I read about Curiosity’s find centred around the idea that it had detected life in some form or another which would truly be earth shattering news. 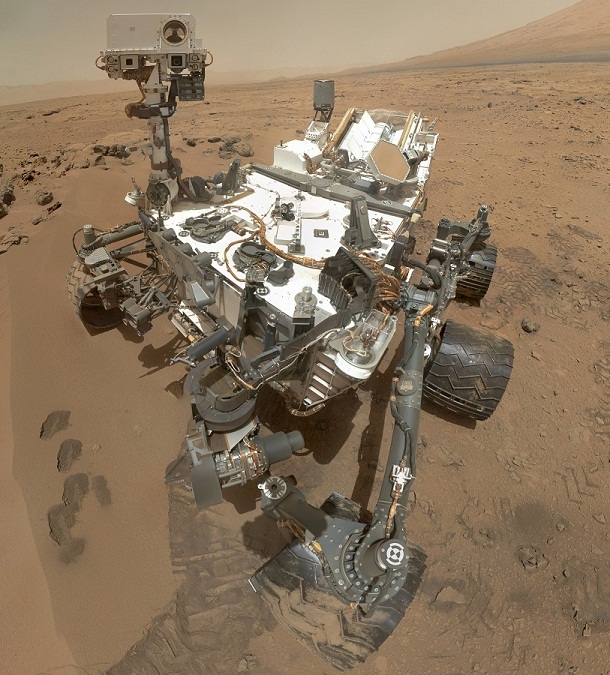 However Curiosity just isn’t set up to do that in the way most people think it is as its microscopes are simply not capable of imaging microbes directly. The only way it could detect signs of life would be through the on-board laboratory using its mass spectrometer, gas chromatograph and laser spectrometer and even then it would only detect organic compounds (like methane) which is a good, but not certain, indication of life. Unfortunately whilst the scientists had done their best to try and down play what the result might actually be the damage has been done as the public’s expectations are wildly out of alignment with what it could actually be. It’s annoying as it doesn’t help the image of the greater scientific community when things like this happen and it’s unfortunately become a semi-regular occurrence. I can really blame the scientists for this one, they really are working on a historic mission that will further our understanding of Mars and many other things, but care has to be taken to avoid these kinds of situations in the future. Hopefully the media will also refrain from sensationalising science to the point where the story no longer matches the reality, but I’m not holding my breath on that one. For what its worth though I’m still looking forward to whatever it is they found out we’re still only in the beginning of Curiosity’s mission, meaning there’s plenty more science to be done and many more discoveries to be had. Whilst they might not be the amazing things that the media might have speculated them to be they will still be exciting for the scientific community and will undoubtedly further our understanding in many different areas. Hopefully this will be the only PR debacle of Curiosity’s mission as I’d hate to have to write a follow up post.